Ideally located in the prime touristic area of TCO Dostyk, Renaissance Atyrau Hotel promises a relaxing and wonderful visit. Featuring a complete list of amenities, guests will find their stay at the property a comfortable one. Free Wi-Fi in all rooms, 24-hour front desk, facilities for disabled guests, express check-in/check-out, luggage storage are there for guest's enjoyment. Each guestroom is elegantly furnished and equipped with handy amenities. The hotel's peaceful atmosphere extends to its recreational facilities which include fitness center, sauna, indoor pool, spa, massage. 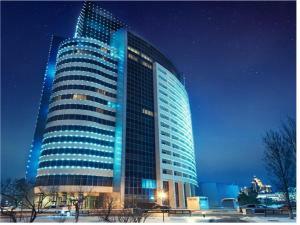 Renaissance Atyrau Hotel is an excellent choice from which to explore Atyrau or to simply relax and rejuvenate.